Shares in MZI Resources (ASX: MZI) surged nearly 7% in the first half hour of trading on Tuesday after management announced that it had signed a Letter of Agreement with the company’s major leucoxene customer to provide significant additional volumes of its premium L88 product over the next three years. This is an extremely important development for the company as the pricing for L88 is far superior to the group’s L70 product. The volume of the increase by tonnage is also substantial, with the increase of 50,000 tonnes over a three-year period equating to an annualised rate of approximately 17,000 tonnes. However, management highlighted that under the terms of the Letter of Agreement the customer will purchase an additional 20,000 tonnes of L88 over the next 12 months, and 15,000 tonnes in each of the following two years. The customer currently has an offtake agreement in place to purchase 25,000 tonnes, and this has now effectively been increased to 40,000 tonnes per year out to 2020. Management noted that this now sees a substantial amount of MZI’s planned L88 production for the next three years as fully committed. Importantly, all of MZI’s planned L70 and zircon concentrate production is already committed for the next four years under existing offtake agreements. This provides cash flow predictability, an important factor in putting MZI’s debt commitments into perspective. Bell Potter analyst David Coates ran the ruler across MZI only three weeks ago, commenting on unwarranted concerns regarding the company’s debt commitments out to 2019, a factor he believes has been instrumental in driving down the group’s share price. Coates highlighted the fact that the company’s cash flow from its long life Keysbrook operation located in Western Australia provided the capacity to meet debt repayments. Today’s news could make the broker even more confident regarding the company’s prospects given that the revised annual production of L88 (40,000 tonnes) exceeds his production estimates of 36,800 tonnes in 2018 and 2019. Coates is forecasting MZI to generate a net profit of $14 million in fiscal 2018, representing earnings per share of 8 cents. Similar earnings projections are in place for fiscal 2019. This indicates that MZI’s PE multiple relative to this morning’s high of 23 cents is less than 3. Coates has a price target of 50 cents on the stock which seems more appropriate, reflecting a PE multiple of approximately 6. In summing up MZI’s compelling investment fundamentals, and addressing the issue of near-term debt commitments Coates said, “The good news is that Keysbrook is an asset well suited to servicing debt, being located in a safe jurisdiction with a long mine life supported by 15 years of reserves and 30 years of resources, low-risk mining and processing operations, as well as a stable and improving market for its products”. 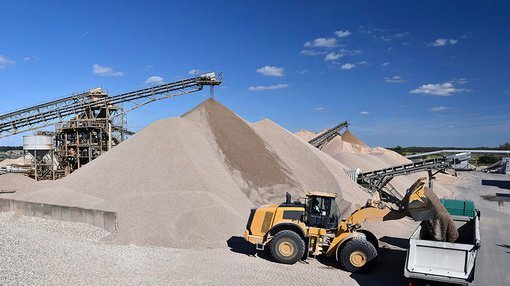 With regard to improving market dynamics, MZI’s interim managing Director, Dr Steve Ward said, “The new agreement comes amid rapidly improving demand and pricing for mineral sands products, including premium quality products such as Keysbrook leucoxene”. Ward views the negotiation of the Letter of Agreement as a vote of confidence in MZI’s industry position as a reliable long-term supplier of premium quality mineral sands products.